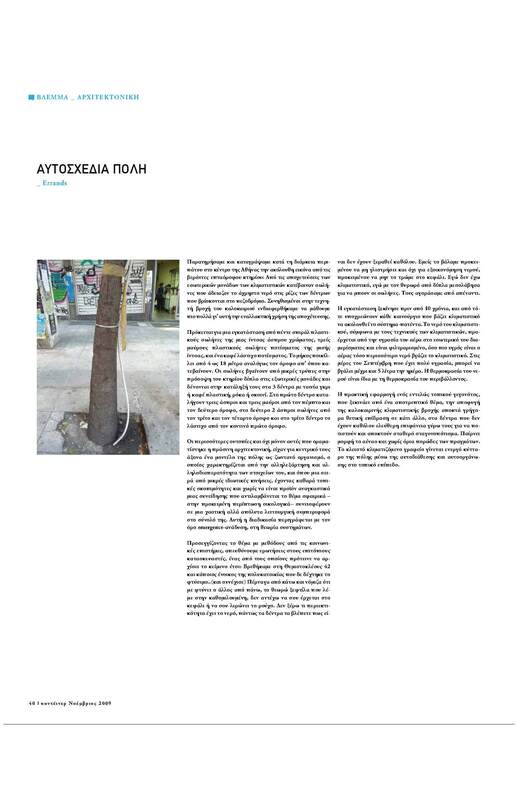 IMPROVISED CITY IS A PROJECT PRESENTED OVER ΤΕΝ ARTICLES THAT APPEARED IN KONTEINER MAGAZINE ISSUES DURING 2009-2010. It is a project in series. The news article medium was used to reveal the research. As with all errands projects the implemented research tools were drawn from the human sciences, interviews, fieldwork, and photographic and video documentation. 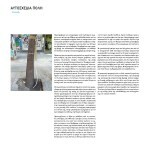 The objects of our attention were urban practices discovered and documented in situ.